Recently we connected with Brionna’s mother who informed us about Brionna’s courageous fight with brain, epilepsy, lung and GI issues. 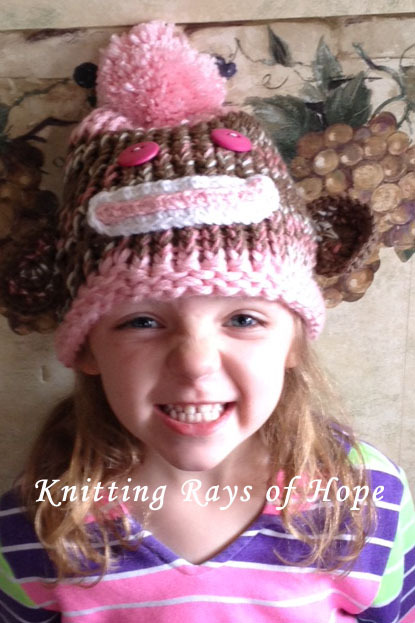 Brionna is a very brave 5 year old girl, who loves sock monkeys and the color pink. 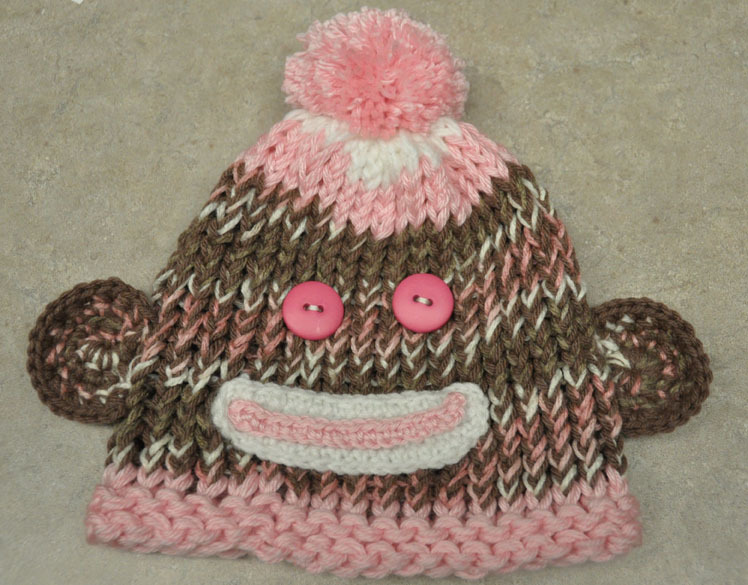 We made this pink sock monkey hat to cheer her up on difficult days. We would like to remind her that people really do care about her, and we are sending our love. Here is a cute picture showing Brionna happy to have her pink sock monkey hat. Isn’t Brionna adorable? 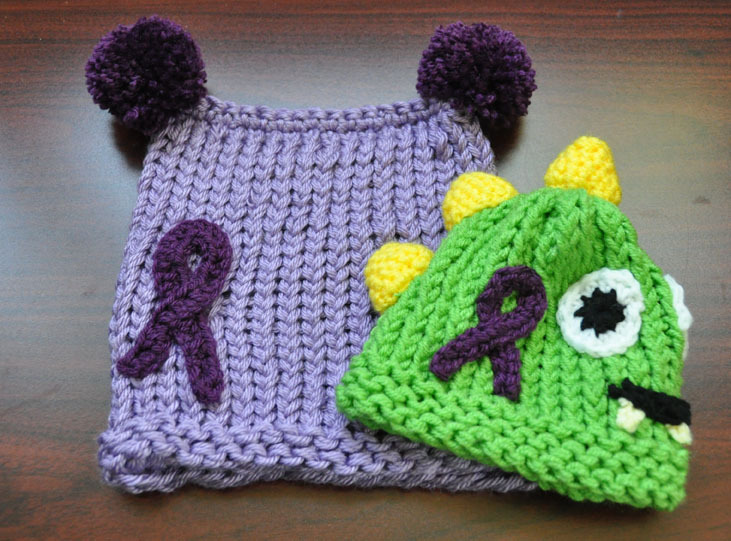 Making hats for sick children, babies in the NICU and Chemo Warriors is very, very rewarding. It’s my way of giving back, doing good work as an act of service or making kindness, my religion, so to speak. 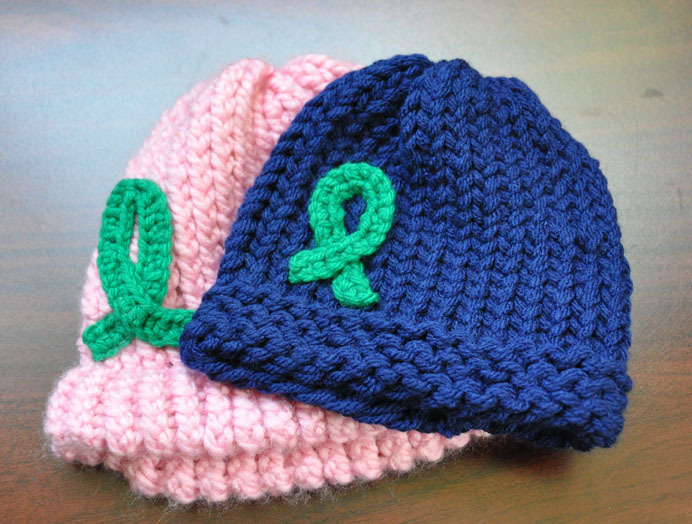 And when we ship off a box of hats to a hospital or oncology center, I know that the hats really make people happy and hopeful. It shows people that there are folks out in this cruel world that really do care. And sometimes we get a connection and maybe a photo of a recipient who is wearing our creation. It’s so special to me, it touches my heart profoundly to make that connection. With these special requests, it starts with that connection, the personal story. I get the privilege of getting to know what their challenges are, what they like and then I receive these beautiful photos with amazing smiles. The pictures are so much better than my imagination. Thank you for sending us these pictures! The pictures of these smiling faces wearing my creations is really my motivation. I am honored to be a small part of their lives.